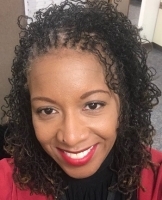 LaTonya Morgan is a certified Project Management Professional with more than 12 years of experience leading and managing IT professionals on government contracts. She has successfully established help desks from the ground up, including several ticketing tool implementations and transitions. She's well known for her ability to improve staff performance and build strong, high-performing teams. She is also ITIL-certified, which facilitates her establishment of well-defined policies and procedures. LaTonya currently serves as the VP of Programs for the HDI Capital Area local chapter.